The California® Catalina™ 637 and 631 deliver effective compression to the painful region to localize the patient's therapy while maintaining comfort. The Catalina 637 also contains rigid side panels to provide additional lateral support. The Catalina's unique two-pull closure system makes it easy to fit and simple for the patient to don and doff. It limits motion and provides effective compression for the relief of lower back pain, making it ideal throughout rehabilitation treatment. Available in sizes XS through 4XL. SPS is proud to carry the new Valor compression liner sock from Swiftwick. 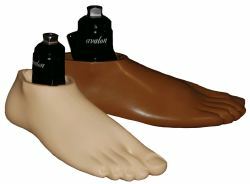 Made in the U.S.A., the VALOR is the most advanced moisture-managing compression liner sock ever created for amputees. This revolutionary new solution-worn under the liner and against the skin-is made with Olefin, a Nobel Prize-winning, environmentally friendly fiber. The VALOR's sculptured compression construction incorporates Swiftwick's patented active antimicrobial technology, providing superior moisture, bacteria, and volume fluctuations control. Ask your rep about the Swiftwick liner sock today! TRS has just introduced the Ishi archery terminal device designed to fit modern compound bows and traditional-style bows. An offset flexible aperture captures the bow's handle which allows the bow to cradle comfortably for perfect arrow alignment. A ratchet strap and buckle lightly secure the bow in place. The Ishi weighs only 6 ounces, bows up to 45 pounds of draw weight, and is made for archers five years old and above. 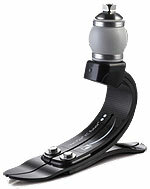 The Ishi mounts right or left handed and has a USA standard threaded mounting prosthetic connector. Adjust fit for changing activities. Change compression to match volume changes. 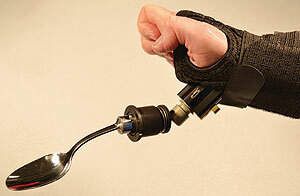 Revolimb is bringing a whole new level of comfort and control to your patients. Ask your Endolite territory manager about getting your guide today. 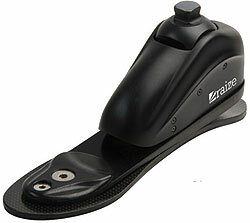 The Hosmer Raize is a unique microprocessor ankle/foot system in a low-profile, lightweight design. 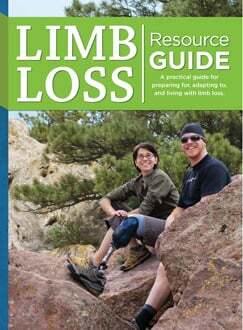 Its plantarflexion/dorsiflexion range reduces damaging forces on the residual limb and greatly enhances stability on slopes and slippery surfaces. By simply pushing a button the wearer can control rollover resistance, lock or unlock the ankle, and adjust the heel height as needed. Go online or call PEL Supply for complete information on this and other innovative products from the Fillauer Companies. New WalkOn Reaction AFO from Ottobock! Lightweight, low profile, and extremely tough, the WalkOn® Reaction is a great solution for patients with dorsiflexion weakness. With an anteriorly placed calf cuff and longer strut, the WalkOn Reaction uses ground reaction forces to help extend the user's knee. Like other Ottobock WalkOns, the Reaction is fabricated from a prepreg advanced carbon composite and helps users walk more naturally. Fitting is fast and easy, as is donning and doffing. Your patient gets great support, smooth rollover, and comfort all in one. A program designed to help optimize your materials costs. With the challenges facing O&P care providers, it's becoming more difficult to provide high-quality patient care while managing a business. The SPS Rewards Program ensures you are getting the best value for the products you need to run your business. To learn more and register for the SPS Rewards Program, contact your SPS sales manager or come by the SPS booth #1219 at the AOPA World Congress. Our Mt. Emey accommodative footwear collection is specially designed for the hard-to-fit foot or one with greater orthotic needs. The collection includes a variety of closures for easy fit adjustability to accommodate Charcot foot, foot trauma, hammer toes, bunions, diabetes, RA foot pain, or edema. The Mt. Emey accommodative footwear collection offers the perfect combination of support and relief-fulfill all of your pedorthic needs under one roof. Call our friendly customer service department for more information or free samples. 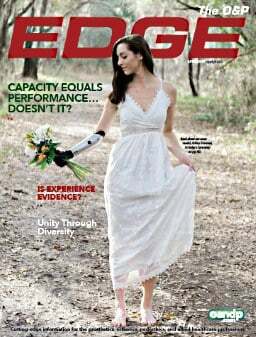 Increasingly, many amputees desire a prosthetic foot that can keep up with their busy lifestyle. Whether they're at the office or the gym, they want the convenience of using a single foot throughout the day. By combining smooth rollover and dynamics with vertical and rotational shock absorption, the Vari-Flex® XC Rotate™ offers the flexibility that these active individuals require to pursue a life without limitations. Call or visit the Össur website to learn more. ABC certification exams—ready when you are! All written and written simulation exams offered every other month. 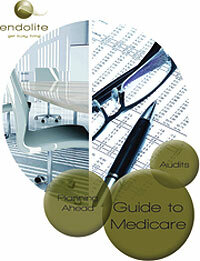 Clinical patient management exams will be offered three times a year. Practitioner candidates have 30 days after the application deadline to complete their residency requirements. Visit the ABC website for more information about exam dates and application deadlines. 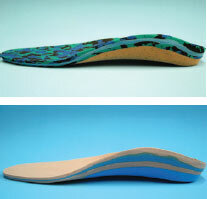 Hersco has a new line of Tri Lam custom foot orthotics with several material choices. Tri Lam technology layers materials of different durometers, giving the practitioner the ability to vary thickness and shock absorption. Hersco Tri Lams include Plastazote and PPT for accommodative devices, or more durable Sky for active patients. You can also choose the base layer of firmer cork or softer EVA. More information and pictures are available on our website. Certified pedorthists are ready to answer any questions you may have regarding our custom products. 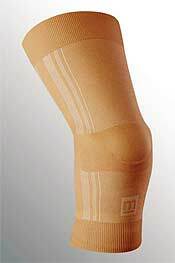 The Genu Sleeve is a transtibial suspension sleeve that provides the ultimate in comfort, suspension, and ease of use. Inner TPE gel surface provides optimal sealing and suspension. Longitudinal-knit cuff allows generous radial stretch for a secure and comfortable fit. Round-knit textile cover means no seams to unravel or irritate. Comfort zone knitting in patella and popliteal region for greater freedom of movement during knee flexion. Smooth outer textile slides easily against itself for simple donning. Includes free inner protector sleeve (also available separately). 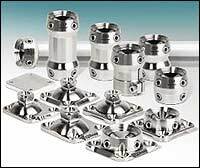 Can be used with the new medi Vacu-Valve with simple fabrication. The FullStride™ Shadow from Becker Oregon is a lightweight KAFO that combines structural strength and cosmetic appeal with the FullStride mechanical stance-control orthotic knee joint. The inherent rigidity of the FullStride Shadow ensures that optimal joint alignment and function are maintained throughout the gait cycle. Constructed of lightweight and rigid composite materials, the FullStride Shadow's sleek and open design offers patients an unparalleled blend of form and function. 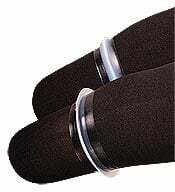 The soft silicone ring creates an airtight seal, an alternative to suspension sleeves. College Park Industries has increased its offerings to include a line of commonly used endoskeletal components. Utilizing knowledge from 25 years of material research and product design, these endo components are carefully engineered for structural integrity and noise abatement. Tested to the highest quality standards, the endo components perfectly complement the performance and outcomes that College Park prosthetic feet are known for. The avalon foot provides 12° of controlled ankle motion, allowing the user to safely negotiate stairs, ramps, and environmental obstacles with increased confidence and security. Dorsiflexes from midstance to toe off for a smooth rollover. Remains dorsiflexed through swing phase for improved toe clearance, to minimize the risk of falls. Provides a more natural gait; reduces the need to compensate by hip hiking, circumduction, or lifting the knee to clear the toe during swing phase. Biomimetic ankle motion encourages equal loading during ambulation, which leads to less stress and thereby preserves the sound side. The medial Arch Suspender is an innovation that provides an adjustable lifting strap under the talonavicular joint to resist collapse of the medial arch and ankle and hindfoot eversion. This modification is indicated for severe PTTD and severe pronation disorders of the hindfoot. The lateral Arch Suspender resists ankle or hindfoot inversion. Indications include peroneal tendinopathy and varus deformity of the ankle and rearfoot. Casting methods and tips are available on our website. Certified pedorthists are available to answer questions regarding Richie products. The PreStride4™ Model 9008 utilizes our new Stride4 (Patent Pending) stance control knee joint that comprises a four-bar linkage mechanism and three modes of operation: stance control, free motion, and locked with stance phase flexion. An integral extension-assist spring housed within the midsection assists with knee extension, while an adjustable extension stop allows the clinician to adjust and fine-tune the point at which the joint enters its stable/locked state. Give your patients the most advanced KAFO technology combined with the most advanced fabrication! Ottobock's line of KAFOs is now available in prepreg, creating KAFOs up to 40 percent lighter than laminated alternatives. Prepreg also creates more consistent fabrication outcomes that avoid unwanted buildups. Ottobock Fabrication Services offers decades of expertise, exceptional customer service, and an unparalleled reputation for quality. Our expert services include water transfer, lamination, and prepreg carbon fiber. You can count on timely turnaround and delivering the results you want. Amfit is the world leader in equipment and software for manufacturing custom foot orthotics quickly, accurately, and at a low cost. 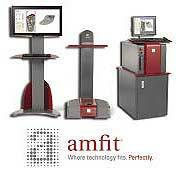 Choose either of our 3-D scanners—the Contact Digitizer™ or the Impress Scanner—and combine it with the Amfit CAD/CAM Mill to fabricate superior custom foot orthotics in your own facility. Our Correct & Confirm™ software is highly accurate and easy to use. Amfit combines cutting-edge technology and more than 25 years of global experience—making us the best choice for any foot care professional. 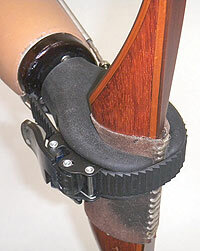 Texas Assistive Devices (TAD) has introduced the N-Abler® III WHO Soft Brace with Quick Disconnect Palmer Unit to allow patients with partial-hand amputation or hand dysfunction to independently perform activities such as eating, meal preparation, grooming, hobby or mechanical work, carpentry, and sports. The N-Abler system uses patented couplers for flexion and positional rotation to attach the tools and utensils, with componentry available for bilateral patients, too. 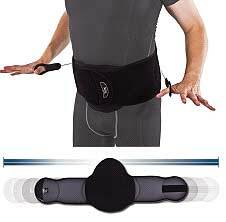 The WHO Soft Brace comes in four sizes and for right or left use. Contact us for more information, including L-Code recommendations. 3D-LITE LSO XTRA: Customize Your O-T-S LSO! Breathable and lightweight, yet rigid and custom moldable! Boost patient compliance with a comfortable back support that delivers the stability your patient needs. 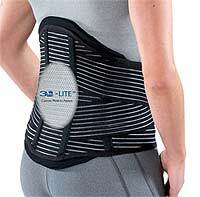 The 3D-LITE™ LSO XTRA is designed to accommodate the healing process by applying adjustable compression and incorporating removable polyethylene anterior inserts and a 3D-LITE™ custom-moldable back panel that may be reheated and remolded. Patient can easily slip hands into the hand loops sewn onto both anterior panels for simplified donning and doffing. Five sizes fit from 23½" to 55" waists. PDAC letter available for L-0631. Contact us to learn more! 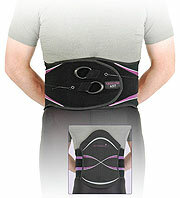 medi USA is proud to introduce the SLEEQ® series of spinal bracing solutions. The SLEEQ Spinal Therapy System's InvisAdjust™ technology enables a universal fit for nearly all patients while dramatically reducing the hassle and cost of unwanted inventory. SLEEQ's state-of-the-art TruGlide™ tightening makes it easy to achieve optimal compression for the most effective pain relief. The advanced eco-friendly Q-Lex™ OrthoSport Material promotes air flow to keep patients cool and dry. The low-profile ventilated AeroFlex™ support system automatically conforms to the patient's anatomy for a custom fit, providing optimum comfort and pain management or operative treatment support. The integrated design of the DuraWalk foot's toe pad, urethane heel, and low-cut foot shell provides multiaxial function for the user. The flexible toe spring allows for a smooth gait cycle while the foot's multiaxial function delivers stability on uneven terrain. 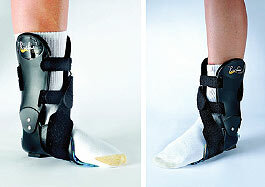 Unique to the foot is a detachable heel that clinicians may change the density of in order to maximize function. The DuraWalk's construction and performance make it suitable for use in both transtibial and transfemoral applications. The foot has a maximum weight limit of 350 lb. New Pneumatic Swing Phase Control Four-Axis Knee. Matik, the latest release from PROTEOR, is designed to provide an affordable yet efficient and maintenance-free polycentric knee. 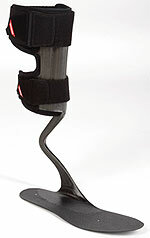 Pneumatic knee with extension spring to provide full extension during stamping and slow walking. Secure four-axis geometry for high stability during stance phase. One inch of toe clearance during swing. Compact and lightweight: 26.21 oz. Rated up to 275 lb. ; adapted for K2 users. Proximal connection, pyramidal or M36 threaded. Separated flexion-resistance and extension-dampering adjustments. 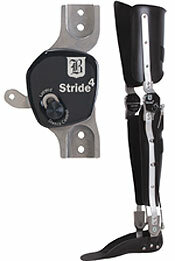 The new Stride4 stance control knee joint from Becker Orthopedic, featuring a four-bar linkage mechanism, allows for better rotation and closer mimicking of anatomical knee motion. It offers three specific modes of operation: stance control, free motion, and locked with stance phase flexion, allowing the practitioner to make easy adjustments in each mode. The Stride4 allows the patient to easily switch between locked and stance control modes, which provide the joint with approximately 3 degrees of flexion and shock absorption when the lock option is engaged. Begin your P&O career at NUPOC! Learn from leaders in the P&O profession! The NUPOC MPO is a 21-month graduate curriculum that prepares you to enter an accredited residency, sit for certification examinations, and become a P&O practitioner. The online portion of the program includes live and streamed lectures, videoconference discussions, group projects, and case-study sessions that help you learn, apply, and review knowledge. The on-campus practicum offers supervised opportunities to practice technical and clinical skills with patient models who have neuromusculoskeletal impairments. Tired of throwing away too many nylon seconds? Try our MasterCraft hosiery! Essential to your O&P applications, from laminations to pulling plastic, these nylons will help make fabrication easier. Made with first-quality nylon, our open-toe nylons reduce your throwaways! Available in a 1-lb. 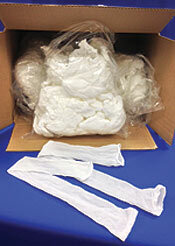 box of approximately 80 nylons, or a 5-lb. box of approximately 400 nylons. Call for e-mail for more information.